The committee set up by the Independent National Electoral Commission (INEC) to investigate the allegations of underage voting that was recorded at the Local Government Area elections conducted by the Kano State Independent Electoral Commission has submitted its report. INEC Chairman, Professor Mahmood Yakubu, had named Engineer Abubakar Nahuche, as the chairman of the eight-man committee to investigate the alleged incident of underage voters that marred the LG polls. 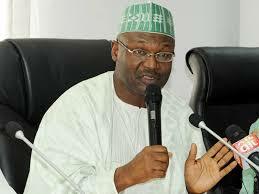 The committee, in Abuja, submitted its report to the INEC Chairman, Professor Mahmood Yakubu, during the weekend. A statement by INEC Director of Publicity and Voter Education, Mr. Oluwole Osaze-Uzzi had quoted Nahuche, chairman of the committee, as saying that the committee consulted with critical stakeholders through visitations and interactive sessions. “The interactive sessions included Civil Society Organisations, political parties, print and electronic media organisations, as well as security agencies. “The committee, in the course of consultation and interactive sessions, received pictures, video clips, reports, documents and presentations from the stakeholders. “It immediately embarked on thorough review and analysis of these materials in order to ascertain the actual connection with KASIEC LGA elections. “The committee also examined the social media reports of pictures and video clips that triggered the report of the alleged participation of underage persons in the KASIEC LGA elections as a key area of focus for the investigation,’’ he added. Nahuche urged that the state Independent Electoral Commissions and political parties to work towards improving electoral logistics to enhance the credibility of their respective processes and procedures. Receiving the report, Professor Yakubu commended the committee for discharging the assignment diligently. “The credibility of the voter register is very important to the commission; the outcome of the investigation, in the interest of transparency, would be shared with the general public,” he stated.